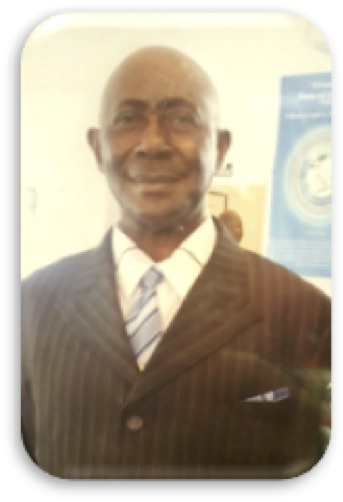 Obituary for Ernest Alfanco | Larry Smith-Cooper Funeral Home, Inc.
Deacon Ernest “Earl” Alfanco was born on August 24, 1938 to the late Terrell Vaz and Carolina Elleston in St. Toolis, Manchester, Jamaica. Ernest departed his life on March 11, 2018 at Carolinas Hospital System. Ernest attended the public schools of Jamaica. He was an engineer for Prince Enterprises for over 40 years. Ernest was a dedicated member of the House of God Church in Mullins, SC. While at the House of God Church, he was the head of the deacon board, member of the trustee board, member of the finance committee, male choir, and the church custodian. Ernest was a fine and humble man who would always lend a helping hand. He was kind to everyone he met. Ernest was preceded in death by his father Terrell; mother: Carolina; sister: Evette; four brothers: Daniel, Carlton, Deris and Basil; two grandchildren and a special step-daughter Evangelist Dretta Myers. Ernest leaves to cherish his fond memories a loving wife : Miriam Alfanco of the home; three children: Sheryl (Chris) Vaz of Philadelphia, PA, Ion Vaz and Michelle Vaz of Jamaica; one stepson: Blake (Sheryl) Lewis of Mullins, SC; two sisters: Joyce (Jim) Johnson of Jamaica and Ceris Young of London, England; seven brothers: Bertrell Vaz, Derrick Blair, Ervin Vaz, Errol Vaz, Winston Vaz of Jamaica; one brother-in-law: Levi (Pearl) Lewis of Virginia; a special nephew: Paul Thompson of Jamaica and a host of grandchildren, great grandchildren, aunts, uncles, nieces, nephews, cousins and friends who loved him dearly.